"Our event would have simply not been a success without this company and their kindness and contribution"
"Very professional! Had a wonderful experience"
"The decorations you provided transformed our entire event and put smiles on many faces." 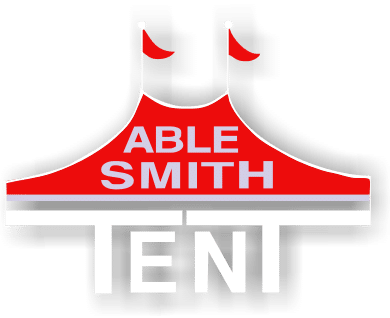 Able Smith has a vast variety of tents perfect for any Wedding or outdoor event. Reserve early to be sure of availability. Busy dates book up fast. No, I will pick up at your location. of supplies to make your party or event a great success. From Party Tents to Linens, we have everything you need to make an event take shape.